With its attractive but impractical sloping roofline, the LC has a bit less front head room than the F-Type, but because it’s a much longer car, it offers more leg room. 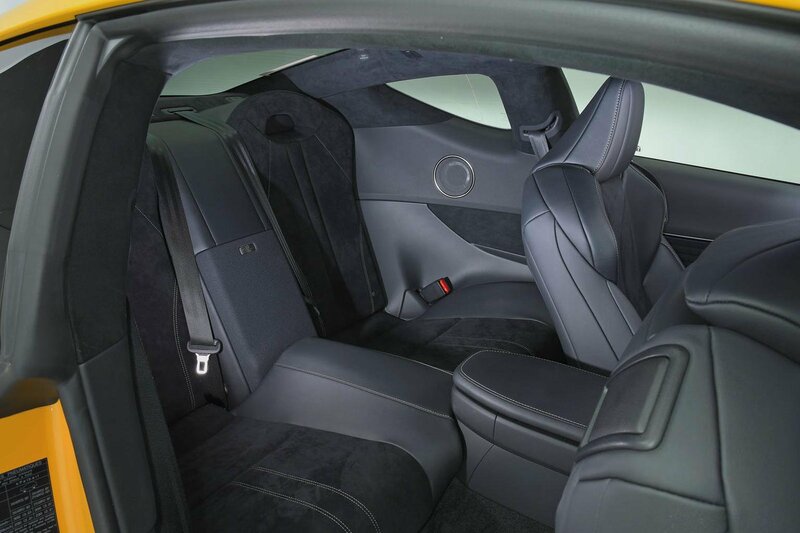 The F-Type is a strict two-seater, whereas the LC has two rear seats, but they’re really for emergency use only. They do have Isofix fittings, so you can squeeze a couple of child seats in, but head room for adults is very tight. Both boots are quite awkwardly shaped. The F-Type’s has a much smaller opening and the load area itself isn’t quite as wide as the LC’s. However, the LC has awkward steps and lumps in its boot floor that intrude on space. 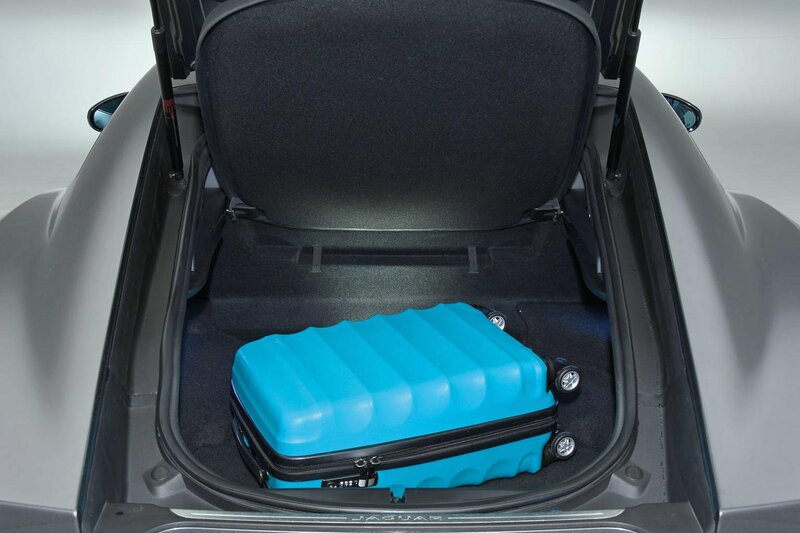 In fact, it’s the main reason why only three carry-on suitcases can be squeezed into its boot, whereas the F-Type can take four. 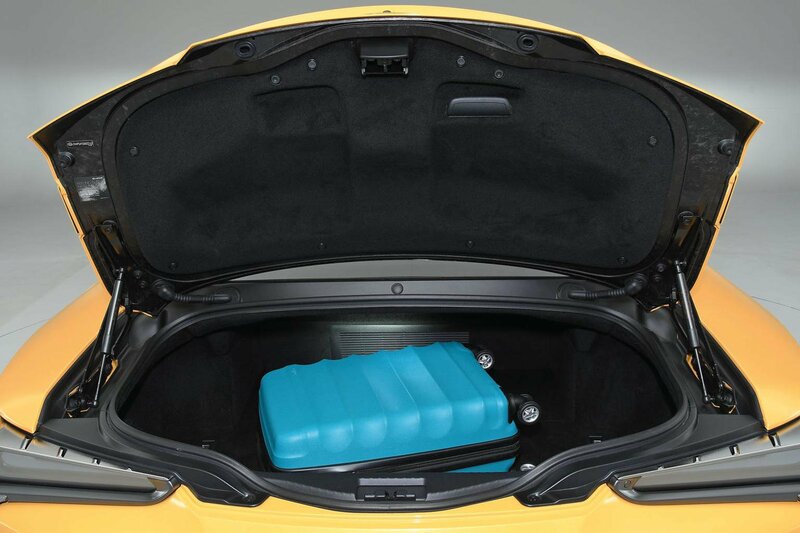 The F-Type has a much narrower boot opening, but there is more usable space inside and a smaller lip. It’s comfy up front, but a narrow windscreen and low driving position result in a lot of grey dashboard in your line of view. The LC is a longer and wider car than the F-Type, so it offers more leg room up front as well as the addition of two rear seats. These have Isofix fittings, so child seats can be accommodated, but head room is very tight for adults.